The little details are what make this kit shine, from the screw holes in the planking to the realistically stacked firewood. Your friends will think you scratch built this "little gem". These rugged steam launches were seen almost anywhere there was water from the late 1800's through the 1930's with many still in service as special excursion boats or in museums or private collections today. This boat works great ferrying supplies or passengers across your harbor or up river to your logging camp. 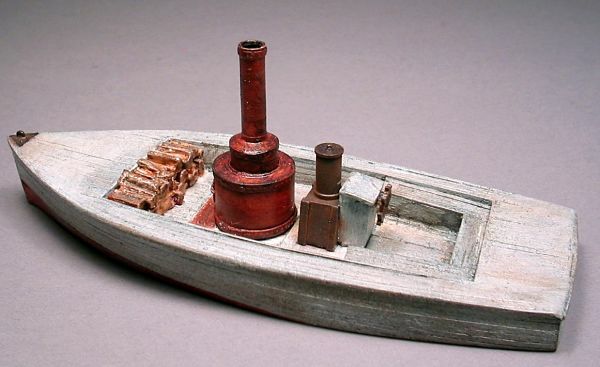 Our kit comes complete with highly detailed resin castings including a vertical steam boiler, firewood stack and one piece hull. 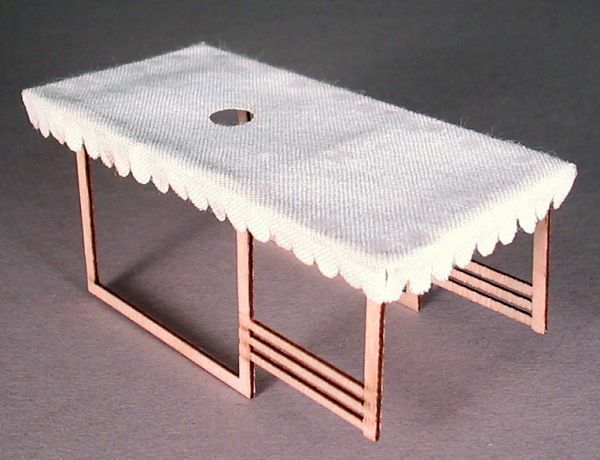 Laser cut canopy supports and a real fabric canopy to suit your needs. 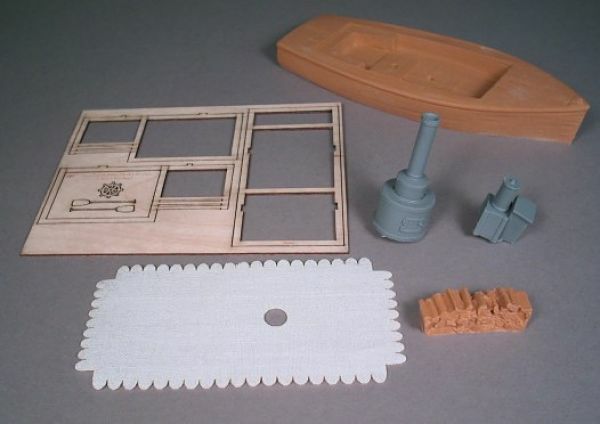 Our steam launch kit includes the same great details you've come to expect from our boat kits and other products.